2013 is coming to a close and it’s time to prepare for 2014. Take a moment to review the key trends in truck fleet management for the upcoming year. Lighter-weight equipment specifications in fleet vehicles will lighten the load and continue to help increase fuel economy. Driver comfort, as well as driver safety will be ongoing priorities for vehicle manufacturers, which in turn will encourage a higher rate of driver satisfaction and productivity. In terms of safety, manufacturers are offering enhanced safety features on basic models, thereby increasing safety at all price points.Fleets are obviously impacted by DOT and CSA regulatory compliance, but safety vs. cost needs to be carefully managed. Some fleets are choosing to downsize to smaller GVW vehicles to manage costs while still maintaining safety. The trend of adopting longer intervals between ordering new vehicles will continue into 2014, as will the push for standardization and interchangeability of parts across whole fleets, allowing uniformity and better pricing. Various strategies to help with fuel management are critical and a key focus for the years ahead. Sustainability initiatives to limit emissions and reduce fuel consumption, along with the use of alternative fuels such as CNG and propane autogas will save money and help the environment. Bailment pool programs are being utilized to supply and upfit fleets in an attempt to minimize order-to-delivery times, as well as guarantee across-the-board consistency. Fleet operators are also continuing to track the reasons for downtime, and are continuing to implement strategies to encourage downtime reduction. Reasons for distracted driving are being more aggressively addressed, such as banning cell phone use, enforcement of current safety measures and continued driver training. Telematics usage is gaining popularity as a cost savings tool, identifying problem drivers and helping to reinforce positive driving behavior. Trends are enormously helpful when it comes to understanding what is important in any given industry. Predicting trends helps keep your company current and relevant. In the trucking industry, saving money while still maintaining safety and adhering to the multitude of current rules and regulations is vital. 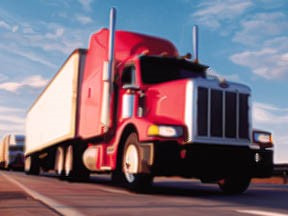 Invoice factoring can help provide financing for trucking companies to help you make optimum use of your working capital by quickly turning your accounts receivables into cash. Reducing the worry of prompt invoice payment allows you time to keep up with the trends and remain current with all your fleet management requirements.